As known by all android is a mobile device having operating system and other attractive key tools. By using Android you do not need to design everything from the scratch, you just have to pick an Android tool and start designing! A few tools of Android which you must have while using android includes; Android Emulator and the Tools Plug-in for the Eclipse Integrated Development Environment. Some of the video tutorials in the post are quite clear and comprehensive. Some Android Developer Tools and Resources have also been added in the post…DIG IN!! For those of you who want to test drive Android you can use this emulator, which is patched to run on a Windows PC as a standalone app, without having to download and install the complete and complex Android SDK. We have all see top 10 Android app lists circulating online which are quite helpful..
We definitely recommend you to check out this mobile web browser for Android. Though it doesn’t have some sort of impressive appeal you’ll be charmed with the superb functionality and a bunch of cool options that it has. Google Android Developer tool very commonly use in Android App.. Here you will find links to the official articles, from the The Developer’s Guide, that describe the Android UI developing guidelines for the interaction and visual design of Android applications. If you want to use the exciting new features that come with Android SDK 2.0 a.k.a. ‘Eclair’, you will have to update your development environment. Although that guide teaches you how to update to SDK version 1.6, the involved steps are actually the same for the new version. Sensor simulator is a java standalone application that simulates sensor data and transmits them to the Android emulator. In the world of application development many may found that earlier prototyping can help a lot. The wireframe PDF is Letter size (8.5 inches by 11 inches) and the handsets are all to scale, so you can use these quite easily for paper prototyping and getting a realistic sense of scale. Magic Color Picker simplifies your color work and we know how important it is for any web designer. Android 3.0 Honeycomb is a new version of the Android platform that is specifically optimized for devices with larger screen sizes, particularly tablets. The package includes fully editable Photoshop files, original fonts and previews, everything that you may need in order to customize your set according to your preferences. Android Developer Sense the package includes fully editable Photoshop files, original fonts and previews, everything that you may need in order to customize your set according to your preferences. Google Android mobile phones, and have been regularly caught needing user interface elements to design with. In this Fireworks template the Android user interface elements have been redrawn as vector images. In the folders the elements have been mostly labeled according to the Android vocabulary. Google Android Graphic User Interface psd file very important for Android app.. The purpose of this sketch style wireframe is to prevent the intended audience from thinking about visual design and encourages them to focus on the functionality and behavior being proposed. Android GUI PSD is based on elements of Android 1.5 GUI and was made to help open-source community with Android applications mock-ups. Google Android GUI PSD becoming very useful for designers. The Android Icon Templates Pack is a collection of template designs, textures, and layer styles that make it easier for you to create icons that conform to the guidelines given in this document. Android video training for developers. which a very organized, structured, one step at a time approach. Today Google announced their new eBooks application for Android Google eBooks including platforms like Android, iOS, the web, and eReaders like the Nook and Sony Reader. Here is the five first minutes of this debugging chapter from the complete . Google Android App Tutorial best Training home tutorials. 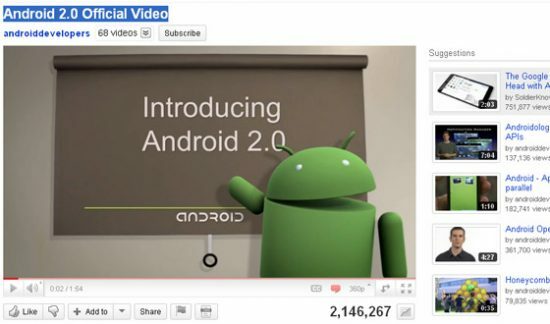 Android 2.0 Official Video best matterial for learning.. If you are wearing a Nexus One of Droid from Motorola supporting Android 2.1 or 2.2, then maybe you are interested in opening PowerPoint presentations in your mobile. This may be useful for students, businessmen as well as presenters. A first generation Apple iPhone running the Linux kernel and Google’s Android mobile operating system. This tutorials very helpful to learn How to get Android Theme .